Breaking through barriers – Patrick F. Clarkin, Ph.D. 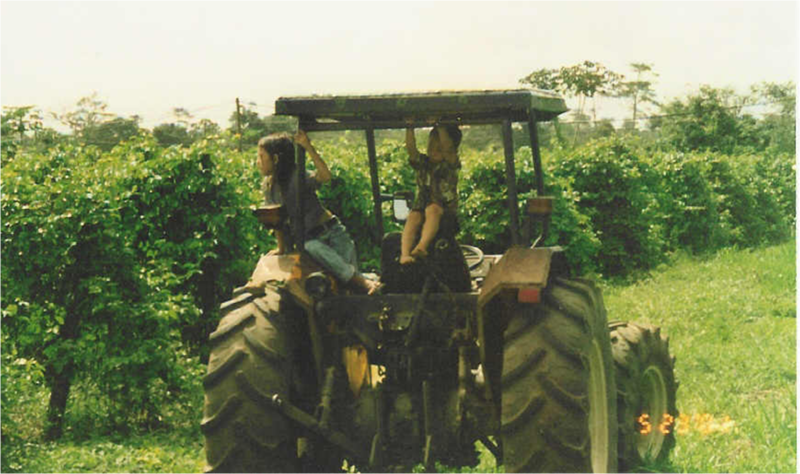 The Hmong in French Guiana are a interesting population – refugees from Laos who earn a living by farming and selling their produce in the urban centers of what is essentially a French colony in Amazonia (technically, it’s an ‘overseas department’). I’ve not been back there for a while, but miss it and think about it often. One memory has been on my mind lately: a young couple (Étienne and Marie*) that my research assistant, KaLy Yang, and I met in the village of Javouhey. On a rainy tropical weekday, we were invited to visit their home by Étienne’s sister. The couple had recently moved to Guiana from France, and like us were newcomers to the village. Despite the fact that they had been in a car accident two weeks prior, both were in good spirits, but in need of some company. Marie was bed-ridden with a broken leg and hip, while Étienne was lucky only to have suffered a broken wrist. He was actually considering having a traditional shamanistic ceremony to change his name because a string of bad luck that extended back to his time in France convinced him that his soul was not quite at peace. Because of the downpouring rain and the fact that Marie was unable to walk, we remained indoors talking about their lives in France and Guiana, as well as our own lives in the U.S. During the course of our three-hour visit, KaLy talked almost exclusively with Marie in Hmong, while I ‘conversed’ with Étienne and his 8 year-old daughter, Mary Frances, in a mangled fusion of broken Hmong, French, English, and hand gestures. Because of the language barrier, the process was slow and messy, but genuine and not forced. The conversation was interspersed with many periods of silence, as we stared out through the open door at the papaya plantations beyond the road and football field. In between the silence, he would tap me on the shoulder enthusiastically whenever he had another idea he wanted to share, and I would do the same. Whenever we actually broke through the barrier of our inability to communicate and actually understood each other, I think we both had a feeling of victory, as if we had conquered some hurdle together. It remains a fond memory of two individuals just trying to find novel ways to connect and find some commonality, if only for its own sake. This entry was posted in anthropology, Hmong and tagged ALP, French Guiana, Guyane, Hmoob. Bookmark the permalink.